In day’s gone by, it was common to find quite a few cigarette smokers in a crowd. Today, though there are still cigarette smokers, many more people are turning to vaping with e-cigs instead of smoking traditional tobacco-filled cigarettes. 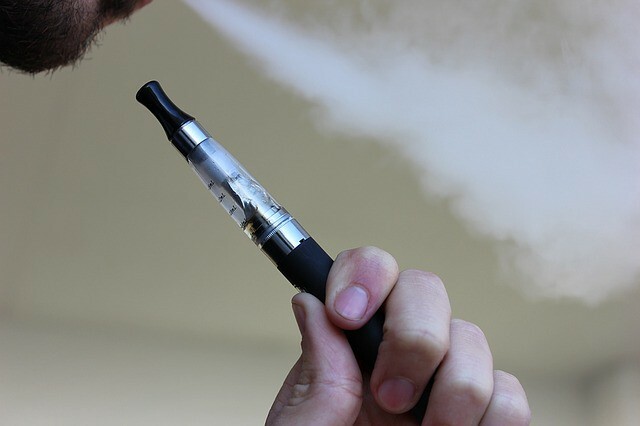 In addition to their cost-saving measures, there is no doubt that e-cigs are safer than the traditional alternative, both by what is inhaled while smoking, and by the varied level of nicotine in e-cigs that can help the user break their nicotine addiction slowly and painlessly, once and for all. There is no doubt that traditional cigarettes are laden with chemicals. The inhaled tobacco smoke is filled with a variety of toxins and carcinogens that can do untold damage to the body. Of course, everyone knows of the increased risk of cancer and breathing issues such as emphysema and chronic bronchitis but there is also an increased risk of heart attack and stroke associated with smoking traditional cigarettes. Fortunately for those smoking electronic cigarettes, there is no actual smoke going to the body. The “smoke” is actually a flavored vapor comprised of propylene glycol, glycerin, flavoring and a varied amount of nicotine to help fulfill the craving most smokers initially desire. All smokers will agree that it is extremely difficult to stop smoking cold turkey, to throw away their pack and never pick up another. It has been done, but it is not an easy process. With vapor cigs the addiction to nicotine doesn’t have to stand in the way of giving up a tobacco habit. One of the vaping tips suggested to new users is to initially adjust to the e-cig with a full strength nicotine. After the transition to electronic cigarettes has been made, slowly step-down the level of nicotine in the “juice/flavor” being used. Most flavors offer nicotine strength from full strength down to zero. This allows the user to continue to enjoy the smoking habit while ridding themselves of the harmful effects of traditional cigarettes. Though the initial thought may be the e-cigs are expensive, once the kit, tank and accessories are purchased, the on-going purchase of flavored juice is much less expensive than buying packs of cigarettes day after day. Visiting websites, such as Lawless.co.nz, allows users to purchase their supplies online, simply and easily, at a great cost savings over tobacco cigarettes in the local store. With the increase in popularity of vapor e-cigs, gone are the days of cigarette smoke-filled rooms that are difficult for non-smokers to endure. Instead with e-cigs, the virtually odorless water vapor is harmless and non-irritating for smokers and non-smokers alike.